HTML5 is an awesome programming language, lauded for its outstanding features and capabilities that are crafted flawlessly. Being the most fascinating development language out there, HTML5 has provided webmasters with all the necessary tools and support they need to breathe life to their mobile designs. As HTML5 continues to take strive towards advancement, we are aided with some striking frameworks that help us streamline our workflow and make us feel more agile. These HTML5 frameworks have a great range of features that let us design websites that look impressive when rendered across a range of mobile devices. They make it easy for us to design responsive layouts, insert clean code, integrate cross-browser compatibilities, or anything that make our website look competitive and attractive. 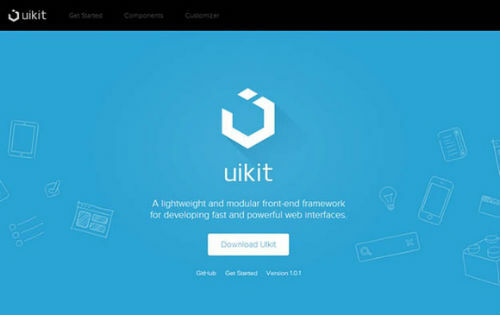 These frameworks are also very lightweight to help you work faster and smarter. If you are looking for some top-notch HTML5 frameworks to speed up your work, then this post is just for you. Here we have compiled a list of some HTML5 frameworks that are considered best of breed and come packed with features that are sure to woo you. So, let’s discuss about them in detail. 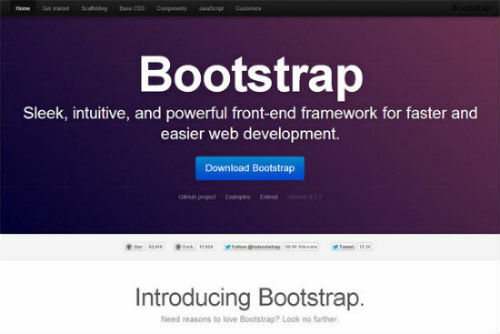 Bootstrap is a highly sought-after frameworks for front-end developers. It comes complete with a range of features and options that help you design best looking mobile sites in the quickest possible manner. The framework features 12-grid style responsive layouts, 13 custom jQuery plugins, Bootstrap Customizer, and more. It also features a very handy documentation that help you in getting started with the framework. 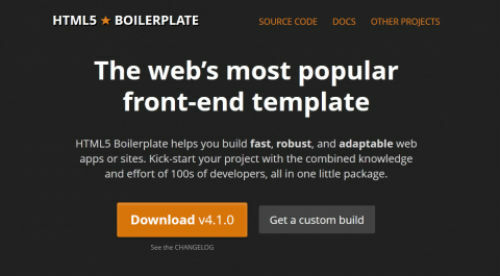 HTML5 Boilerplate is one the best solutions available to build fast and highly adaptable websites or apps. It’s a great mobile-friendly framework that includes sleek templates, Google optimized snippets, icons, and more. It delivers stunning performance and maintains an independent server to maintain server configuration. Foundation is an extremely popular front-end framework for developing responsive websites. It boasts a very robust architecture and one can use it for developing websites for small devices. Foundation makes use of semantic (</>) tags to give you clean markups. Some of its highlighting features include, Flexible grid, Multi device mobility, Rapid prototyping, and a lot more. The official website offers you a range of icons, templates, fonts, tutorials, and responsive tables. 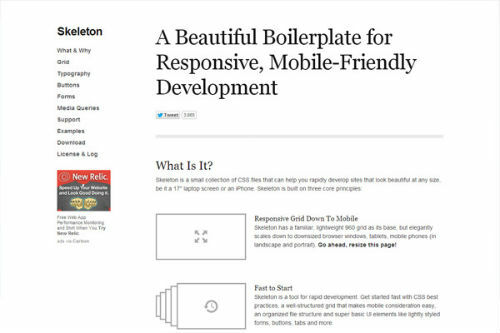 Skeleton is a lightweight CSS boilerplate for HTML5 websites and mobile applications. It is absolutely easy to use and get your things done in the quickest possible manner. It includes a striking list of features, such as a responsive grid layout, CSS class for responsive images, a PSD template for creating mock ups for your web design, and more. HTML5 KickStart is all what you need to create highly responsive mobile sites quickly and efficiently. In its bare bones, HTML5 KickStart is an HTML, CSS, JS building blocks that help you create websites in the manner most effective. It’s a spectacular framework that works across all the major browsers and delivers high-end results. 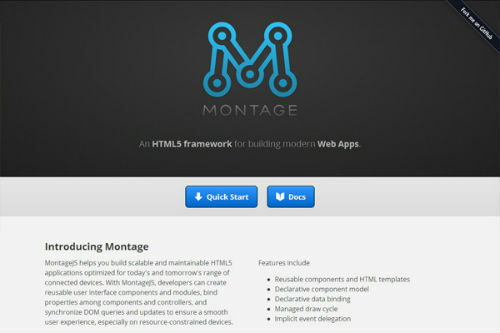 Montage is an ultra modern, open-source HTML5 framework for creating single-page applications. The framework makes use of fantastic design patterns and tools that help you create high-quality apps with great user experience. Montage makes use of declarative binding which makes it quite easy for developers to synch both app data and UI. It also includes a feature called Blueprint that lets you play around with an array of dynamic page elements. 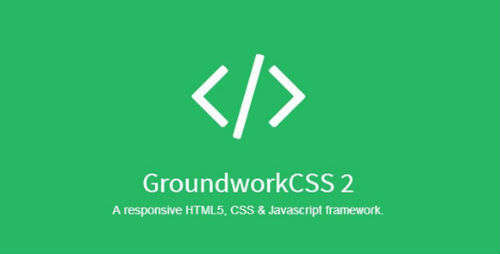 Groundwork is an exemplary HTML, CSS, and JS framework that helps you create highly scalable, accessible web applications. It’s an awesome framework that supports semantic markup to deliver you a flawless design. Groundwork is also very easy to customize and includes a handy collection of tools to create rich responsive texts. 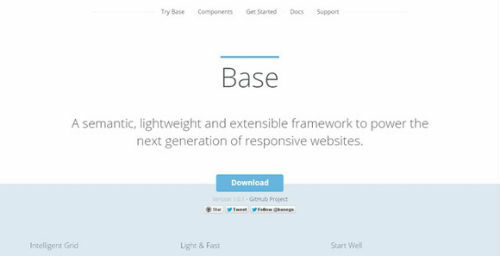 Base is a promising HTML5 framework that’s gaining popularity for its lightweight and extensible design. It’s a semantic framework that let’s you fabricate dependable responsive website. It comes complete with a lightweight CSS framework that helps you kickstart your work without getting distracted. 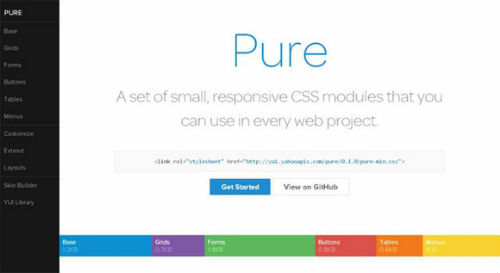 Pure is a handy package of responsive CSS modules that help you streamline your work in no time. It is small, lightweight, and its entire set of modules is about 4.4KB minified and zipped. Since it’s designed for mobile purposes, Pure makes it easy for you to keep your files small and scaled enough to meet the growing needs of mobile devices. We hope, the above list would help you choose the best HTML5 framework for your next mobile project. Be sure to bookmark it in case you need any reference. Victoria Brinsley is a Android app developer for Appsted – Android development company. In case, you are willing to avail a detailed information on the same, get in touch.